Spend 9 days circling the lower South Island on this Natural South itinerary. Spend some time exploring the large southern cities of Christchurch and Dunedin, visit the Otago Peninsula for a wildlife cruise looking at the area's unique wildlife, and underground for a glowworm cave adventure. Take a few days to experience some exciting adventure activities in Queenstown, and head north again to take in the stunning alpine environment of Mt. Cook National Park. 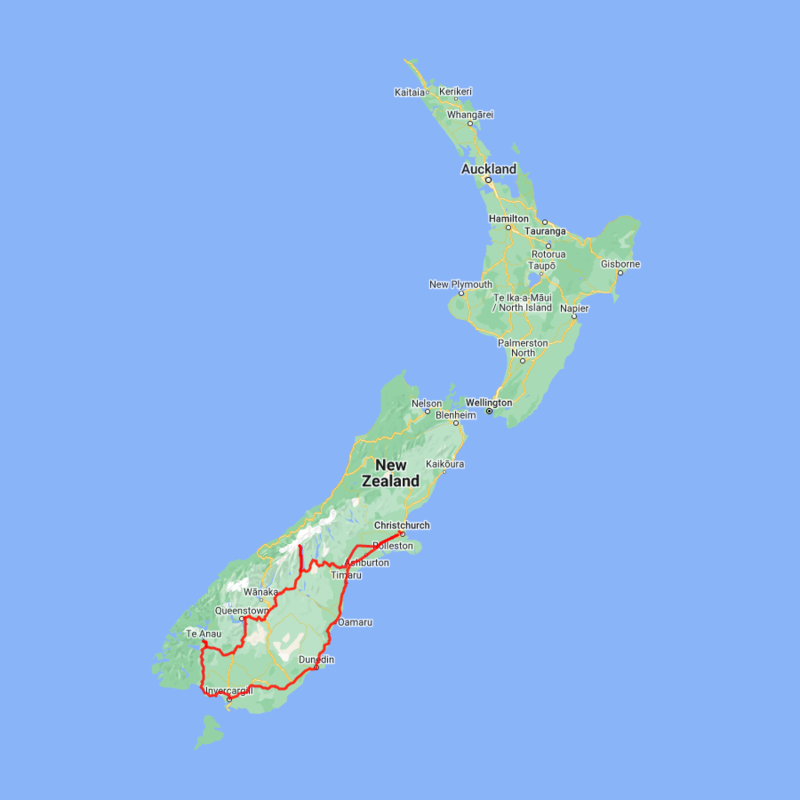 You can expect to spend around NZ$214 in fuel cost on this itinerary based on an intermediate sized car.